“Isalot” is from ALEPH’s EP “Vol. 1” – out Friday, September 8 on Renraku. 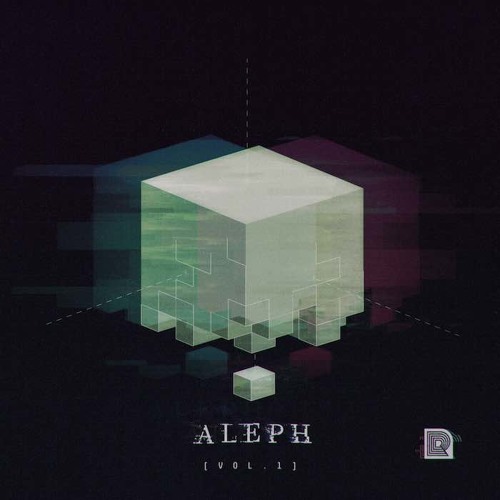 The ALEPH project is a reflection of the heavily textured aesthetic found in today’s electronic music, and exists as the evolution of the previous bass music incarnation known as Prophet. Where much of mankind’s history in the exploration and study of music lies in the evolution of melody and harmony, the ALEPH project seeks to explore the nature of sound itself. When ideas are left unbound by dogma and tradition, the base concept of music blurs and breaks, yet foundations still lay within the wreckage of the old. ALEPH Vol. 1 seeks to capture this aesthetic, in both texture, experimentation, and raw power. Solomon was a once great king whose legacy was forever tarnished by sin. The track of the same name was inspired by the fall from grace while in a position of power, and the devastating effects that can have. Goliath was the giant who conquered all in his path with his pure might and only fell due to his own arrogance. The song representing Goliath attempts to capture this fury with the simple yet heavy handed saw bass. “Monolith” represents a change in form, from a slow pounding rhythm, to a more complex percussive force, inspired by the stone that enlightened the Neanderthals in Arthur C. Clark’s 2001: A Space Odyssey. “Scintillations” is an even more complex song furthering this evolution, changing time signatures multiple times and meshing rhythm and bass with melody. “Lull” seeks to lure the listener into a trance, carefully changing its rhythm under the trembling bass and dust covered wind chimes. “Isalot” returns to the broken beats with a droning dull siren, exposing the forced imperfection of time and tone one can forge in electronic music. The evil spirit calls us back to the past, with archaic rave stabs, but modern power.